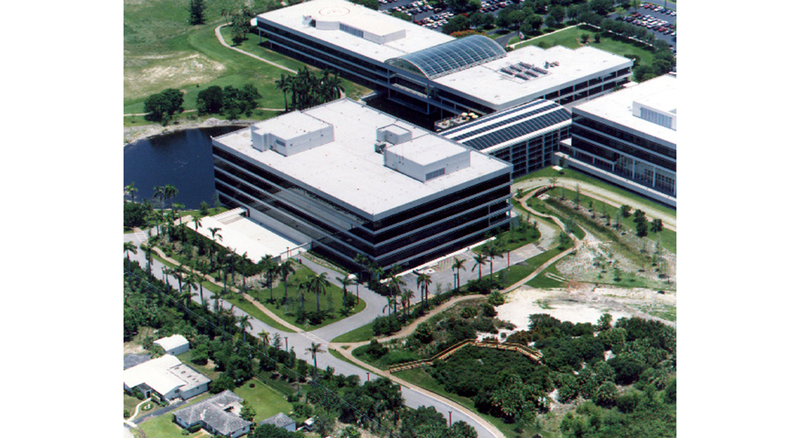 This five story office building was designed to become the new headquarters for Florida Power and Light. High tech computer and communication areas were major components. The 250,000 sq. ft. office building was designed to be an integral part of the existing campus. This integration between the existing campus and the new headquarters was facilitated by a 20,000 sq. ft. atrium with multilevel connections. The first level of the new headquarters houses a complete 20,000 sq. ft. fitness facility along with three levels of working office space. The remaining fifth floor functions as the executive level.